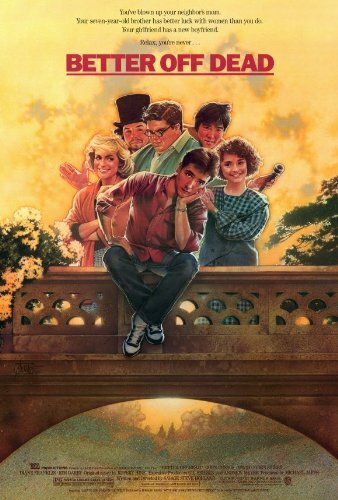 061 – Better Off Dead | All Eighties Movies. All The Time! I love this movie. I was Lane Meyer in my high school years. Just wish I had met a Monique! Totally funny podcast and great gifs! I can’t save them off twitter so is there somewhere I can get them if that is ok? Saw your tweet and listening now. I forgot how much I love this movie! Cheers. I love love love love this movie so much! Thanks. You both are fantastic. Your passion for these movies over flows with love, trivia and music! I adore this pod cast.